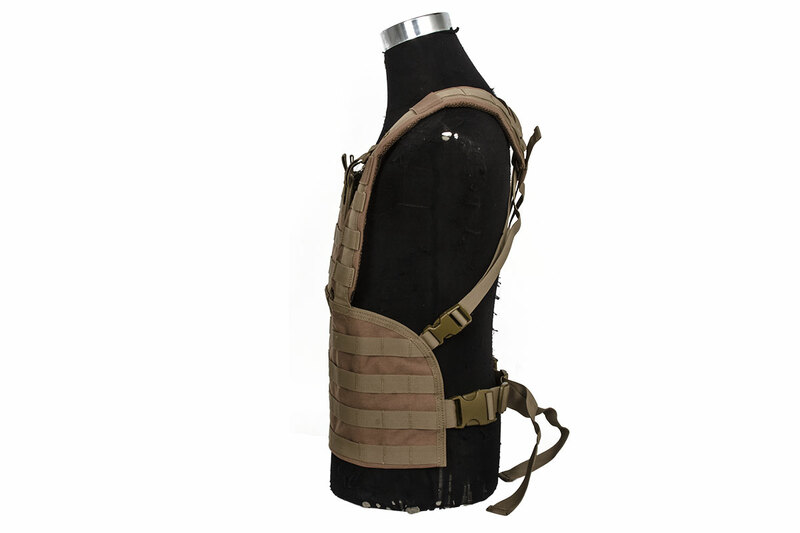 The Condor Outdoor MOD Vest is a MOLLE platform vest with the ability to carry a wide range of different pouches and equipment. 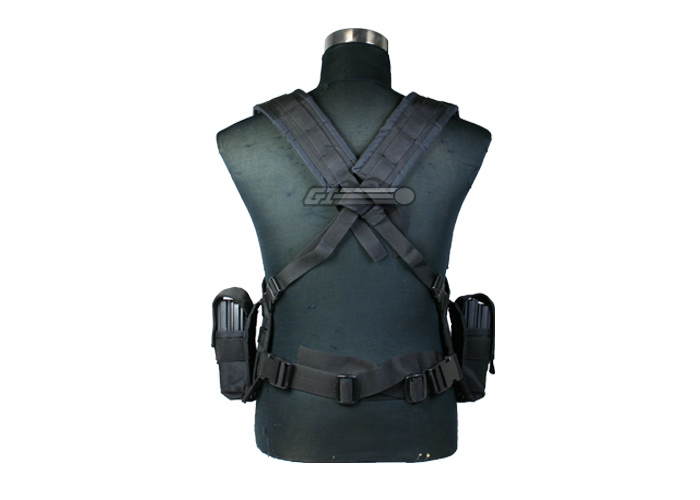 It can be configured to use M4/M16 magazine, AK magazine pouches, admin pouches, radio pouches,and a wide variety of others. 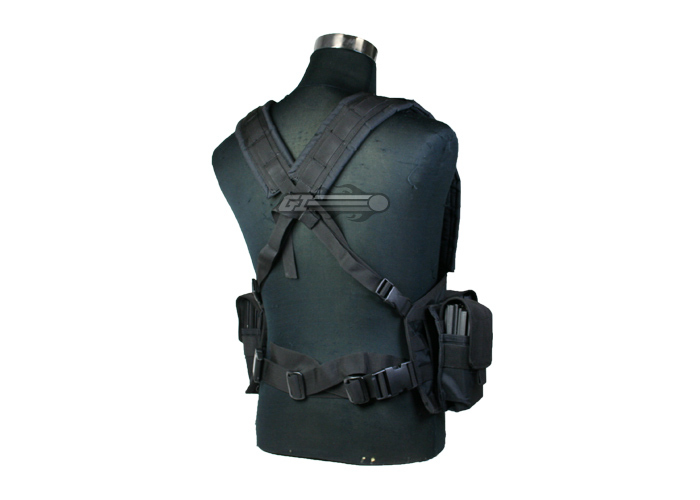 The shoulders offer attachment points for additional gear and can be positioned crossed in the back for a secure fit. When looking for a simpler and lower profile system, the front bib folds down out of the way. 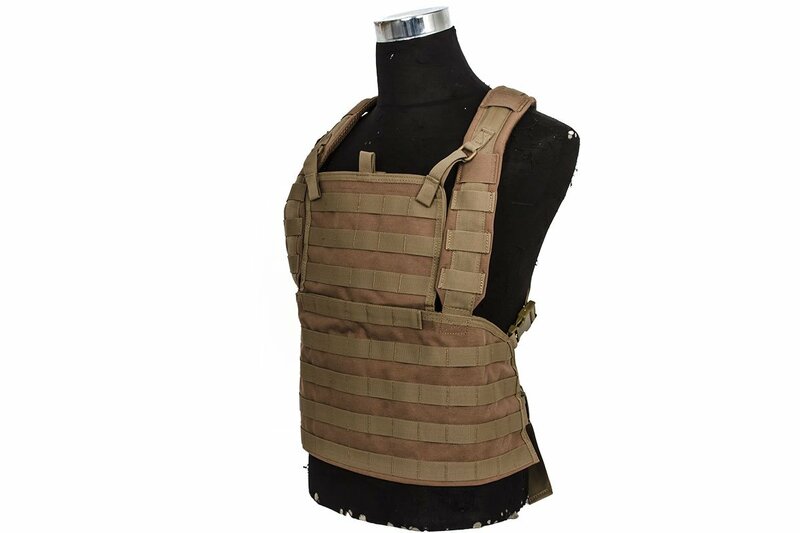 Also, this vest features quick release buckles at all adjustment points. A great versatile vest for a great price. 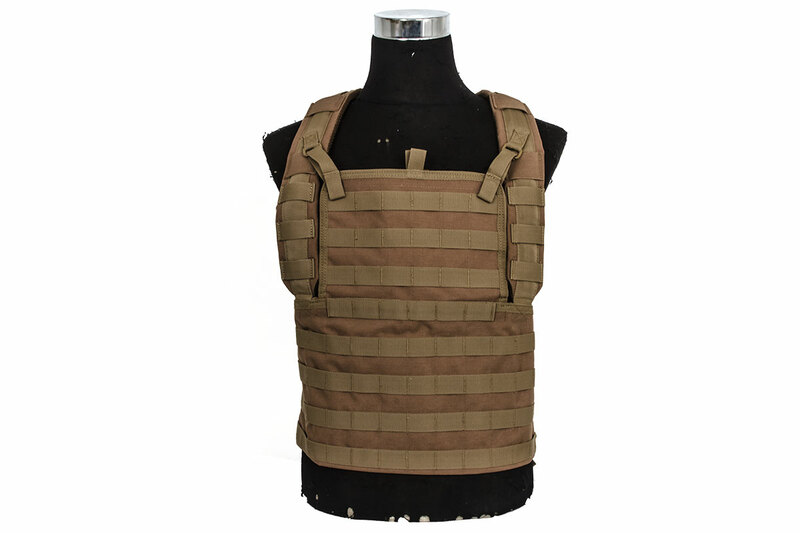 Other companies you can easily spend up to $180 for similar vests. 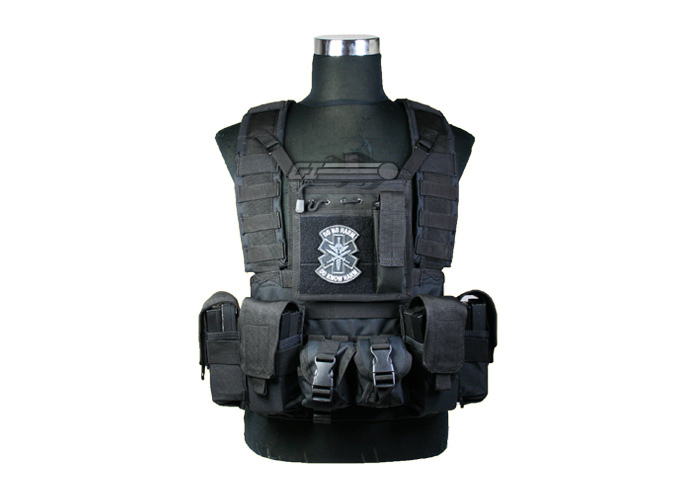 Pouches not included with vest. 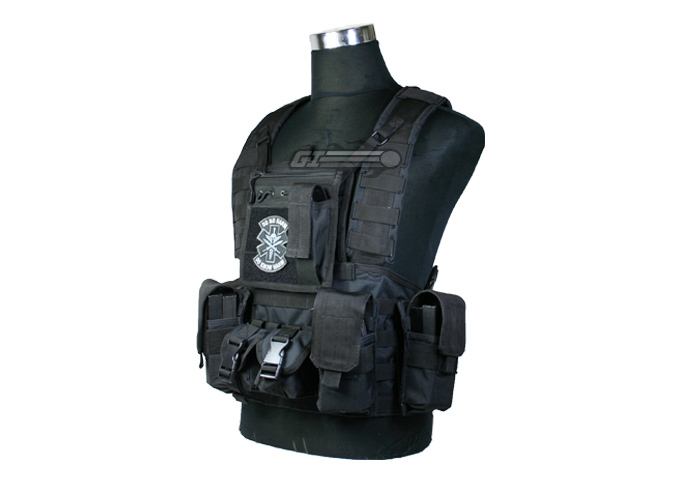 For anyone looking for a well made, reliable, and fast tactical vest, this one is more worth it's weight in value! It's a one size fits most, though it just fit me tight enough to get myself into some fast action gameplay, and it's pretty snug, even for a very thin guy like myself. 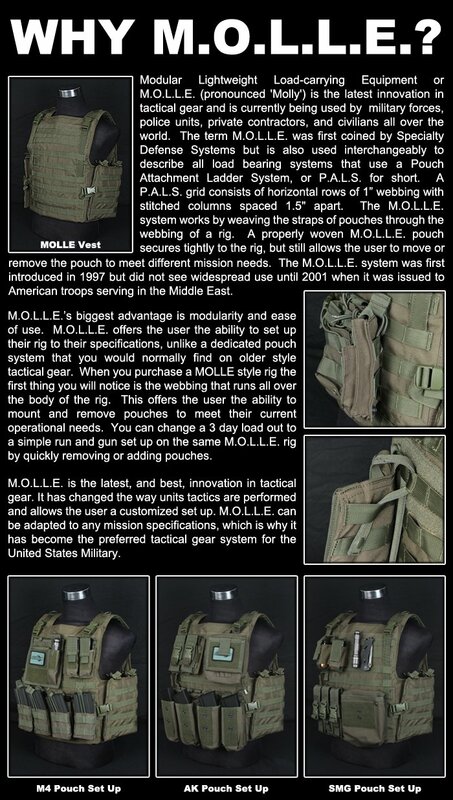 The best part is that it's all molle, so adding any kind of molle accessories is a must! The back is open however, giving you better ventilation, though it does nothing to blunt the BBs to the back, which is not as fun, but it's airsoft. The fact that its so sturdy for its given price makes this an awesome buy, what's not told in the videos is the inner pouch that can hold glow lights, papers, or even magazines, though the snug fit Might make it uncomfortable, having a few mags pushed up against your chest can be a bit annoying. Overall this is more than worth picking up, with such a great value, including its discounts with the coupons, you can't go wrong. K.I.S.S. (Keep It Simple, Stupid) is what comes to mind here. I like having the flexibility of being able to customize my loadouts and that I only bring into the field what I need and not worry about having excess "stuff" getting in the way. 1. Simple to use and to wear. 3. Allows me to customize my loadouts. 4. Good protection against bbs fired from a close proximity. 1. I hope I don't get shot in the back. 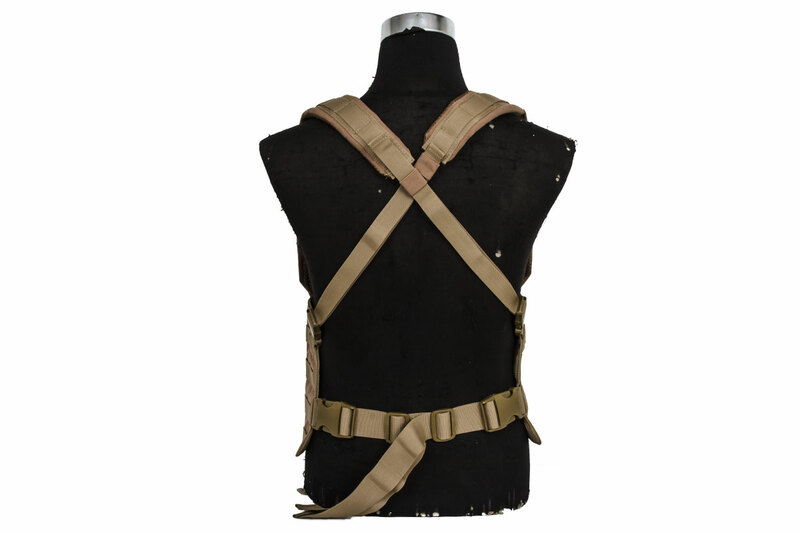 Fits almost anyone perfectly due to the ajustabilty of the straps. It can carry all my gear and I have about 6 or 7 pouches on it. We are currently working to get them back in stock as soon as possible. Currently, we do not have an ETA on their return.